Website graphics can make or break your blog. When I started blogging – blogs were all text and we didn't have to worry about creating all of these pretty pictures. But now times have changed and bloggers have to be adept at creating visuals on a daily basis. 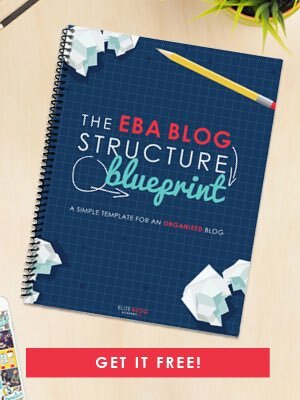 As I learn (and struggle) through making my own blog more visually appealing, I post a few tutorials and resources that I find to be really helpful. If you also find it challenging to create great website graphics, then take a look through these tips to find a little help and inspiration. After trying just about every tool there is for creating website graphics – I settled on two that I primarily use. Do You Need Powerful Photo Editing Tools? If you are looking for powerful photo editing tools without the complexity of Adobe Photoshop, then PicMonkey is your answer. It includes tons of options for adjusting the color, exposure, brightness, etc. in your photos. You can also use it to create text overlays. I love being able to grab a corner of my text and drag it to the size and height that I want it to be. Where I feel that PicMonkey falls short, is in the ability to quickly and easily resize an image for different social media platforms. You can do this in PicMonkey – but it distorts the image when you resize so you need to do some adjusting to get it to look right. I have gotten around this by creating my own templates in PicMonkey. That said, I find that the cost of PicMonkey is quite reasonable. And you can also sign up for a 7-day free trial to test it out before you buy. If you use a lot of your own photography on your blog, this service is a solid choice because of the photo editing tools. Do You Mostly Use Stock Photography on Your Blog? If you mostly use stock photos on your blog, then take a look at Stencil. It not as well known as PicMonkey but Stencil has a lot to offer. While PicMonkey is great at photo editing, Stencil excels at the speed at which you can create images for your blog. You can read my Stencil photo editor review here. Stencil has built in quotes, allows you to easily upload your images, and also resize them for social media or other custom sizes. When resizing, you will still need to make some adjustments – but I find it quicker than PicMonkey. When it comes to photography for your blog, you can never be too careful. There are way too many copyright issues out there. I now steer clear of free stock photography and also creative commons photos for that reason. occasionally use free photos from trusted sources like Creative Market. (They offer 6 new freebies every week – and they send you a receipt when you download them as proof). Whether you pay for your website graphics or go the free route – make sure that you fully understand the license that you get. You may not be allowed to use some website graphics for commercial purposes or without attribution, etc. What I like especially about both of these stock photo sites is that with your membership, you get unlimited photo downloads. This way you don't have to worry about credits and all that kind of stuff. When it comes to creating website graphics you certainly don't want to scare your readers away with garish colors. This article walks you through how to choose your blog colors. A color picker can also help you nail down your web design. Once you have a color scheme that you like, you should definitely keep track of the hex codes with a website colors cheat sheet like this one. So, tell me … be brutally honest … how would you rate your photography skills? I knew I needed help when my picture of a bowl of noodles came out looking like a bowl of worms. One of my favorite photography resources is only available a few times per year. It's called the Ultimate Photography Bundle and it typically includes thousands of dollars of digital courses and eBooks to help you take better pictures. 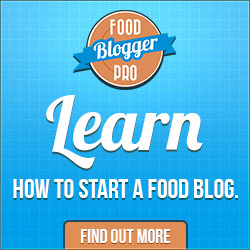 Another good photography course for bloggers is Food Blogger Pro. It, too, is only open a few times per year. So, if it is not open now – you can check out the Tasty Food Photography eBook by Lindsay Ostrum of Pinch of Yum. I took the Food Blogger Pro course and it vastly improved my own food photography skills. If you have questions about creating website graphics – please ask in the comments below. I will try and post a tutorial if I know the answer. 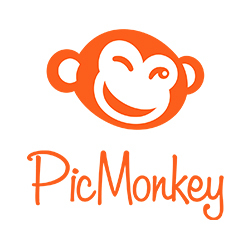 « How Much Does PicMonkey Cost and Is It Worth the Price?